hm, very interesting. 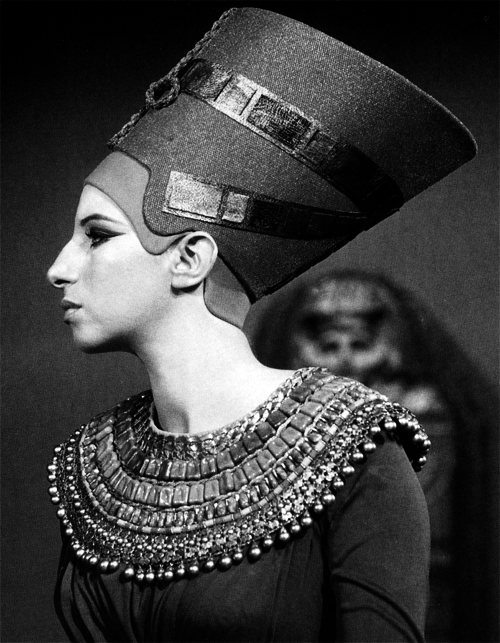 and from the front, i’d say she looks alot like Audrey Hepburn. I REALLY like what you/article said: that this was intended to show a mature woman not a perfect woman. I think that’s really interesting. So, here’s my question (don’t I pretty much always have one? ): can you give a little history on the artist? It seems that he had more status and position than regular Egyptian craftsmen – this is partially deduced because a horse’s blinker has been found with Thutmose’s name on it, suggesting that he may have owned a chariot and horses (an unusual occurrence for a common craftsman). 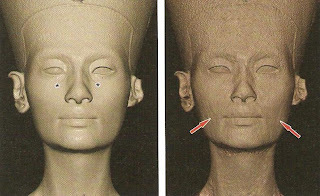 We do know that Thutmose owned a workshop, and it is thought that the Nefertiti bust was used as a demonstration piece or copy model. The sculpture is deliberately left unfinished – the right eye socket is inlaid with crystal and wax to create a pupil and lens, but the left eye was intentionally left empty. 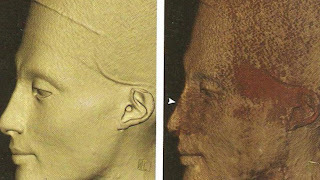 It is thought that Thutmose wanted to demonstrate how to sculpt the hollow of an eye socket into which carved stone could be set. Wow. That’s a pretty cool story. I wonder what the inner part is made of. Was it carved stone? Plaster? And why was it covered in stucco rather than just painted onto? Shelley, the inner core was made out of limestone. I don’t think the article posited why stucco was used, but it might be easy to make the slight facial modifications with such a malleable medium. Good question – I wish I knew for sure. The AP recently picked up this same article in Radiology. You can read one news release here. 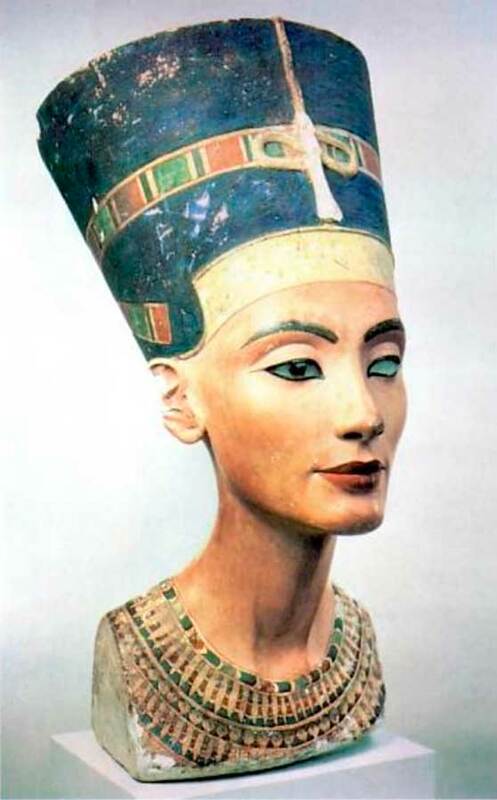 UPDATE: Another recent CT scan confirms that the inner limestone shows a less idealized portrait of Nefertiti. You can read more information here.